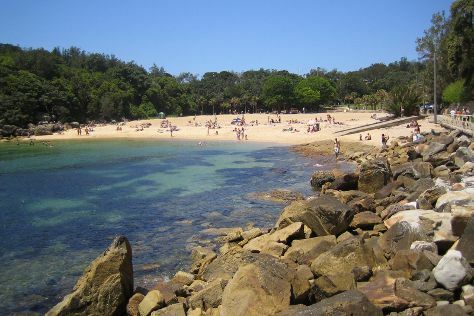 You'll find plenty of places to visit near Manly: Narrabeen (North Narrabeen Beach & Narrabeen Lagoon State Park), Warriewood Beach (in Warriewood) and Mona Vale Beach (in Mona Vale). And it doesn't end there: learn about wildlife with up-close encounters at Taronga Zoo, contemplate the long history of Vaucluse House, tour the pleasant surroundings at Shelly Beach, and identify plant and animal life at North Head Sanctuary. For where to stay, maps, traveler tips, and other tourist information, refer to the Manly holiday builder tool . London, UK to Manly is an approximately 26-hour combination of flight and ferry. You can also do a combination of flight, bus, and ferry; or do a combination of flight, train, and ferry. You'll lose 10 hours traveling from London to Manly due to the time zone difference. Expect somewhat warmer temperatures when traveling from London in October; daily highs in Manly reach 28°C and lows reach 17°C. Cap off your sightseeing on the 20th (Sun) early enough to travel to Penrith. Penrith is a suburb and major centre in the metropolitan area of Sydney, New South Wales, Australia. Change things up with these side-trips from Penrith: Cronulla (Cronulla Beach Walk, Shelly Beach RockPool, & more), Moonrise Lookout (in Horsley Park) and Featherdale Wildlife Park (in Blacktown). There's lots more to do: have some family-friendly fun at iFLY Downunder, see the world from above with a helicopter tour, see the interesting displays at Museum of Fire, and stroll through Fagan Park. To find photos, more things to do, where to stay, and more tourist information, go to the Penrith trip app . Traveling by car from Manly to Penrith takes 1.5 hours. Traveling from Manly in October, you can expect nighttime temperatures to be little chillier in Penrith, with lows of 12°C. Finish your sightseeing early on the 24th (Thu) to allow enough time to travel back home.